Seaside Oregon is a small beach town about 70 miles from Portland Oregon. 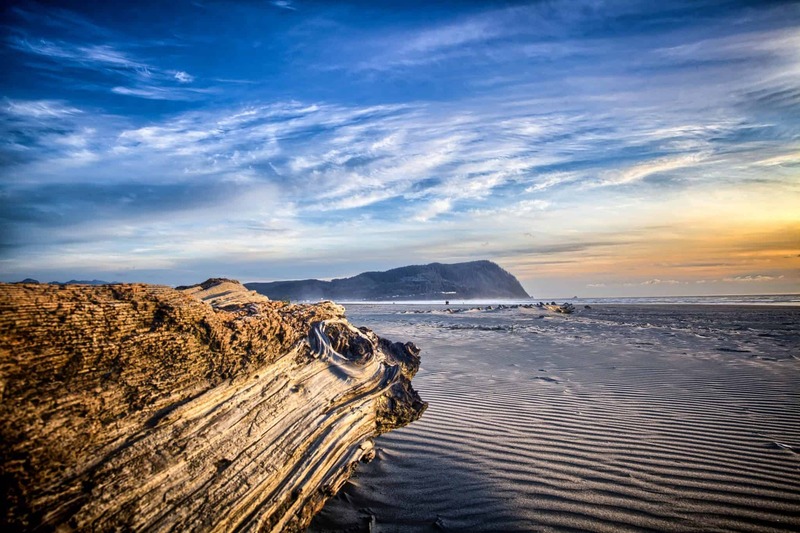 Considered the original Oregon Coast resort destination by many, Seaside continues to be one of the most popular travel destinations in Oregon. During the summer months tourists from around the Pacific Northwest head to the coast and pack the beaches. As longtime Seaside residents, we have had the opportunity to take hundreds of amazing Seaside photos. In this blog I wanted to share a few of our favorite landscape photos that we have taken over the years. This incredible photo was taken by Brit Morrisey with a Canon DSLR. During the winter months the tourists go home and nature takes the beaches back. The Oregon Coast is known for its high-winds and heavy rain during the fall, winter, and early spring. As you can see from this photo the wind has created a unique wave texture in the sand that is undisturbed by foot prints. Morrisey Productions is a Portland based video production company specializing in aerial video production. Over the years we have built a reputation as the premier Oregon drone company. Our aerial videography and photography services include real estate videos, tv commercials, aerial tours, tower inspections, fly overs, and more. Co-founder Seth Morrisey as recently gained is FAA Remote Drone Pilot Certification and can now offer commercial drone services. Plus, our company has over a 1 million dollar insurance policy on each job we take. Want to see more of our work? Check out our latest video Exploring Oregon 1.0.